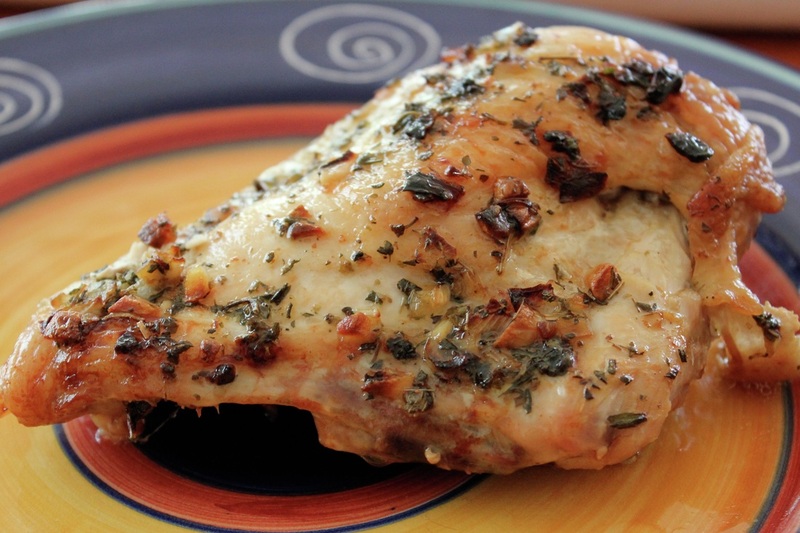 An herb infused elegant looking and tasting chicken breast that can be prepared ahead of time. In a small saucepan over medium-low heat, mix the oil, onions, garlic, thyme, rosemary, sage, oregano, and red pepper sauce. Do not bring to boil. Bake uncovered in a pre-heated oven at 425 degrees for 45 minutes or until no longer pink and juices run clear.